We can meet online (via zoom video conferencing), by phone, or in person. Sessions can be one time, ongoing, scheduled (ex. once per month) for a certain period or amount of sessions, or random. You get these four pillars in your life and the body will heal and correct itself. These lifestyle strategies can help you prevent and resist illness and disease, and may also correct any disease you are currently dealing with. 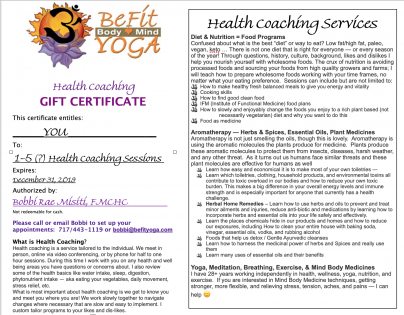 Get the basics of health ~ Our bodies have an amazing capacity to heal themselves! 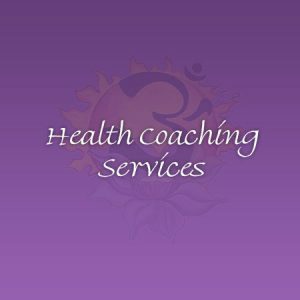 A Health Coach meets each person where they are and helps them navigate lifestyle changes slowly with ease adapting and adjusting to each persons likes and dislikes. Through questions, history, culture, background, likes and dislikes I help you learn how to nourish yourself with wholesome foods. Confused about what is the best “diet” or way to eat? Low fat/high fat, low carb/high carb, paleo or protein diets, vegetarian, vegan, ayurvedic, raw, gluten free/dairy free . . . and the list of diets go on and on. In reality there is not one diet that is right for everyone — or every season of the year! Through questions, history, culture, background, likes and dislikes I help you nourish yourself with wholesome foods. The crux of nutrition is avoiding processed foods and sourcing your foods from high quality growers and farms; I will teach how to prepare wholesome foods working with your time frames, no matter what your eating preference. Learn which toiletries, clothing, household products, and environmental toxins all contribute to toxic overload in our bodies and how to reduce your own toxic burden. This makes a big difference in your overall energy levels and immune strength and is especially important for anyone that currently has a health challenge. Herbal Home Remedies – Learn how to use herbs and oils to prevent and treat minor ailments and injuries, reduce anti-biotic and medications by learning how to incorporate herbs and essential oils into your life safely and effectively. I have 20+ years working in the yoga industry (and over a quarter century working in health, wellness, diet, and exercise). If you are interested in Mind Body Medicine techniques — I can help! Costs; groups are welcome to share sessions. More group Health Coaching options coming soon.